CEVA, Inc. a licensor of signal processing platforms and artificial intelligence processors for smarter, connected devices, today announced that Atmosic Technologies, an innovator of ultra-low-power wireless for the Internet of Things (IoT), has integrated CEVA’s RivieraWaves Bluetooth 5 Low Energy (RW-BLE5) IP in its breakthrough M2 and M3 Series IoT systems-on-chip (SoCs). 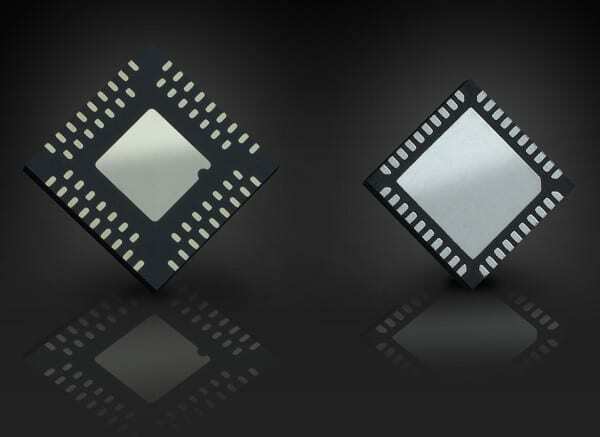 The M2 and M3 SoCs (outlined in the block diagram above) target a diverse range of end markets for low power wireless applications, including wearables, personal and asset trackers, beacons, remotes, keyboards, mice, and more. With its first products, Atmosic is tackling the real-world battery-replacement challenge associated with installing and maintaining a plethora of IoT devices. To realize its vision, Atmosic developed a number of innovative RF CMOS technologies, including Lowest Power Radio, On-demand Wake-up, and Controlled Energy Harvesting. The Atmosic M2 Series Bluetooth 5 SoC features Lowest Power Radio with On-demand Wake-up, radically enhancing battery life. 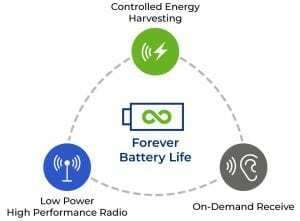 The power consumption reduction is so substantial that it’s able to reach a technology inflection point where energy harvesting becomes a viable power source. The Atmosic M3 Series Bluetooth 5 SoC expands on the M2 with Controlled Energy Harvesting, which can provide forever battery life or even eliminate the need for battery power. Many IoT applications require long range but need very little bandwidth capacity, transmitting data only intermittently. Atmosic believes the advances of Bluetooth® technology with its latest iteration known as Bluetooth 5, offers the ideal wireless platform, upon which the company has built its inaugural solutions. The new Bluetooth 5 offers performance increases over legacy Bluetooth by 4x the range, 2x the speed and 8x the bandwidth. Enhancing this standards-based platform with its lowest power radio, Atmosic has achieved 10-times lower power in Bluetooth 5-based products. Combined with on-demand wakeup these solutions are capable of 100-times lower power. And with controlled energy harvesting Atmosic’s ICs make the batteries in IoT devices last forever or be battery free. The M2 and M3 Series will be demonstrated during the upcoming Consumer Electronics Show (CES) in Las Vegas from January 8-11, 2019. Demonstrations are by appointment at the Atmosic CES meeting place at The Sands, Level 2, Hall D, 46329MR. On The Web: Atmosic Technologies , CEVA, Inc.